Manila Doctors Hospital (MDH) recognized this year’s batch of 51 resident physicians and fellows during the graduation ceremonies held on January 17, 2019 at the Metrobank Foundation Hall. Of the total graduates, forty were resident physicians while eleven were fellows who completed their medical trainings with the following sections and departments: Cardiology, CT MRI, Emergency Medicine, Family and Community Medicine, Internal Medicine, Interventional Cardiology, Obstetrics-gynecology, Ophthalmology, Otorhinolaryngology, Pediatrics, Pulmonology, Radiology, Surgery, and Ultrasound. This year’s keynote speaker, Institutional Review Board Chair Dr. Angela Abanilla-Du, encouraged the graduates to be confident in their human intelligence as they practice their medical careers in an artificial intelligence-driven generation. Delivering a message on behalf of the graduates, Dr. Albert Roy M. Rollorazo from the Department of Internal Medicine expressed his heartfelt gratitude to Manila Doctors Hospital for supporting its trainees in their endeavors by providing a place for learning. “Thank you [Manila Doctors Hospital] for being true to the mission of undertaking training and research programs to continually improve quality and safe patient care,” Dr. Rollorazo said. MDH President and CEO Elizabeth De Guzman-Dantes led the Awarding of Certificates of Graduation together with Hospital Director Dr. Hian Ho N. Kua, Medical Director Dr. Mario Joselito M. Juco, MMSI Director Dr. Dante D. Morales, and Committee on Medical Education and Training Chair Dr. Romeo U. Meriño. 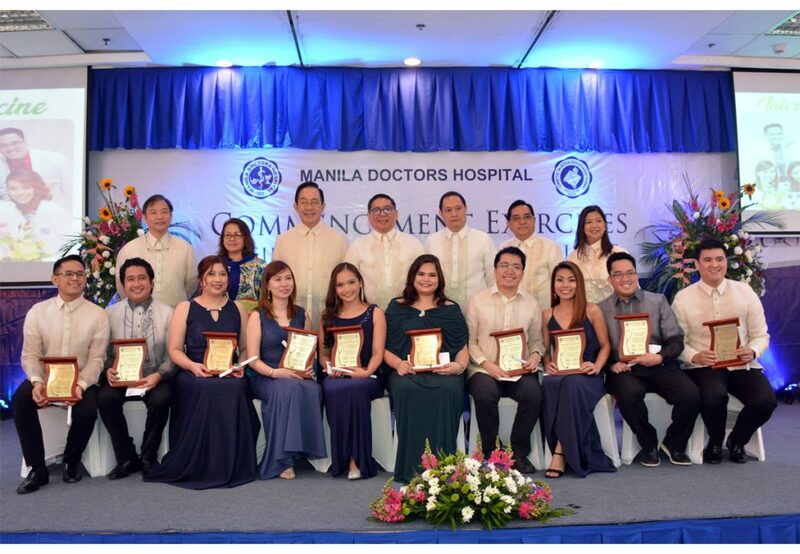 Manila Doctors Hospital stages the annual commencement exercises to honor the completion of the residents’ and fellows’ medical training with its roster of competent and high caliber doctors.